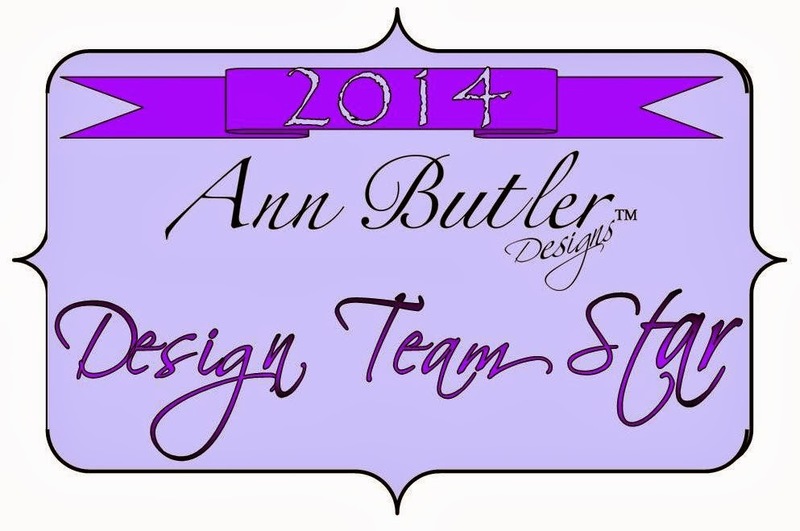 Once again it’s the first Monday of the month and that means it’s time for another fun & fabulous blog hop with the professional craft designers from Designer Craft Connection. For our theme this month we chose “Vintage”. Now I’m sure that everyone has a different view of what that might mean, but for me, it meant creating a project using items from the past. And that is just exactly what I did when I created this project. A few years ago I went through a lamp making faze where I created all these different beautiful lamps that were especially made for each of my clients. They would pull together different family heirlooms that were special to them and I would create a lamp for them. The lamp that I’m sharing today was made for my mom. 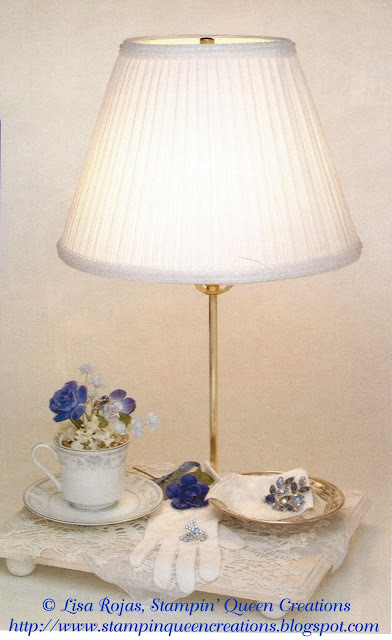 The “Tea Time Lamp” was made from old jewelry pieces, a glove, handkerchief, doily, and a tea cup and saucer that my mom had saved from my grandmother. I knew that these were items that my mom cherished and I wanted to incorporate them into a special keepsake for her but I couldn’t think of an idea that would work with everything. Then the lamp idea hit me and it just ballooned from there. The next thing I know, I’m getting calls from our family and friends asking if I would create a lamp for all of them! I hope you enjoy our hop today and if this is your first time hopping with the Designer Craft Connection, don’t worry because it’s very easy to do. 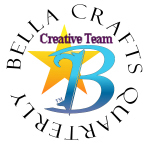 Go to the Designer Craft Connection blinkie on the right hand side of my blog and click the forward button. You will then be taken to the 40+ designer’s blogs that are participating in the hop. You’ll walk away from your computer with 40+ different ideas to recreate for yourself and your family and friends! Now that’s a lot of ideas!! Have fun and happy hopping!!! The KOOL TAK™ Manufacturer Challenge: Fabulously-Fall Blog Hop. Join us and visit the blogs of 12 professional and creative craft designers as they show you how to create some great fall projects with Kool Tak™ products. We will choose one lucky giveaway winner from those who sign up for our newsletter. You only need to enter once. Only those with a mainland USA shipping address are eligible to win the giveaway. Step 1. Drill hole in base for the electrical to run through. Paint base and four wood balls white. Let dry. Glue doily and handkerchief to wood base. Poke a hole through both for the electrical rod to fit through. Assemble lamp kit according to manufactures instructions. Step 2. Fill teacup with Spanish moss and floral foam. Glue dried flowers in tea cup. Next, glue teacup & saucer, silver bowl, glove, flower and jewelry to base. Fold handkerchief and attach jewelry pin. Glue in the silver bowl. Step 3. Glue white lace and pearls trim around the lampshade. Attach lampshade to lamp. Absolutely BEAUTIFUL, I know your mom loves it! When I looked at your Tea Lamp, this made me think of my Grandmother who always used pins and gloves everyday. Your project is just wonderful..
What a sweet little vignette! Your lamp is beautiful and so vintage/victorial looking. Great idea!